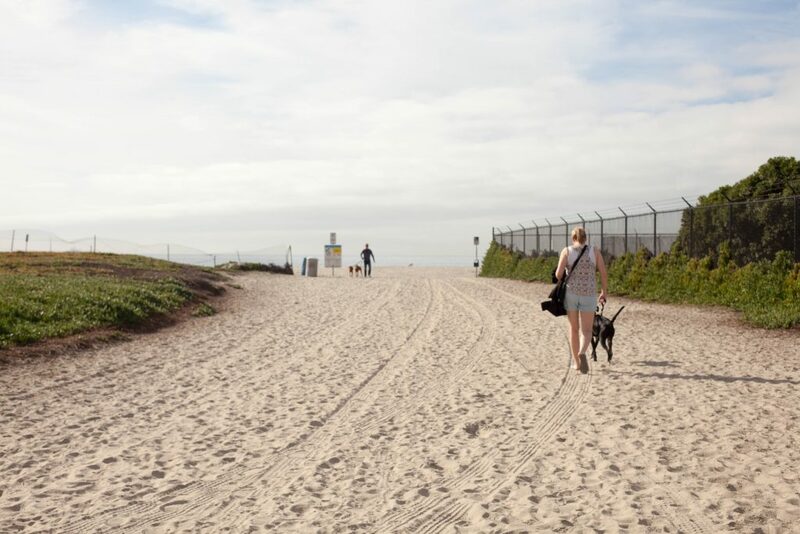 Hitting the San Diego area with your pooch? 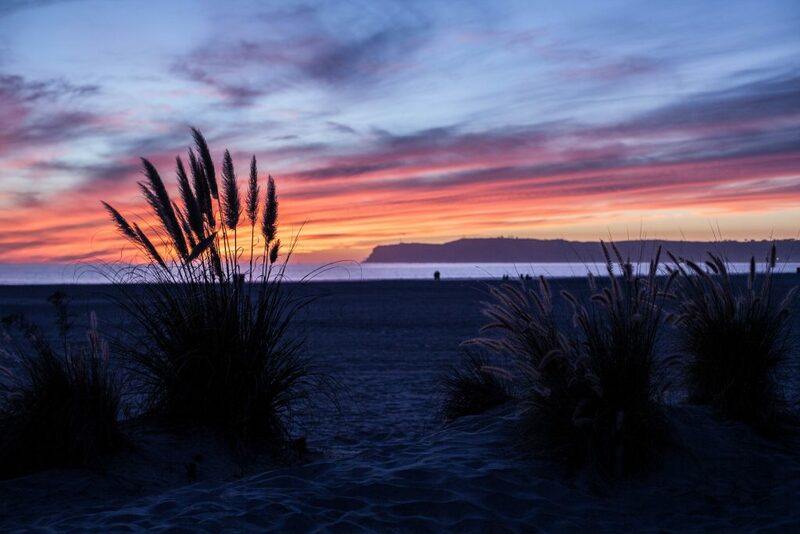 We can’t speak highly enough of staying on Coronado Island. 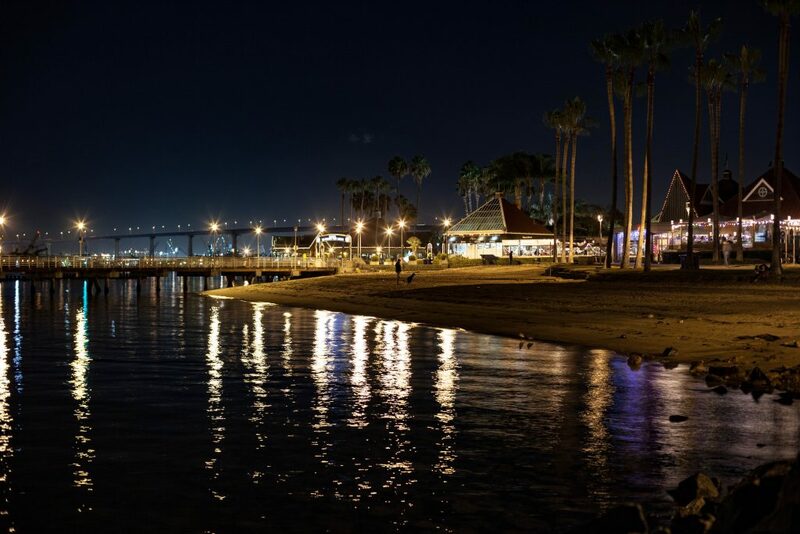 Coronado Island is located across the bay from San Diego, and is accessible by an easy 15-minute drive across the impressive 2.1 mile long Coronado Bridge. The town feels small, while surrounded by the big city (and views) of San Diego. 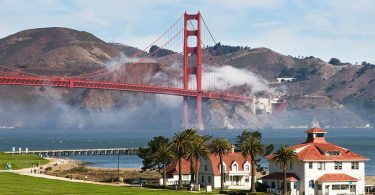 You can also take a short ferry ride across the bay if that’s your thing. 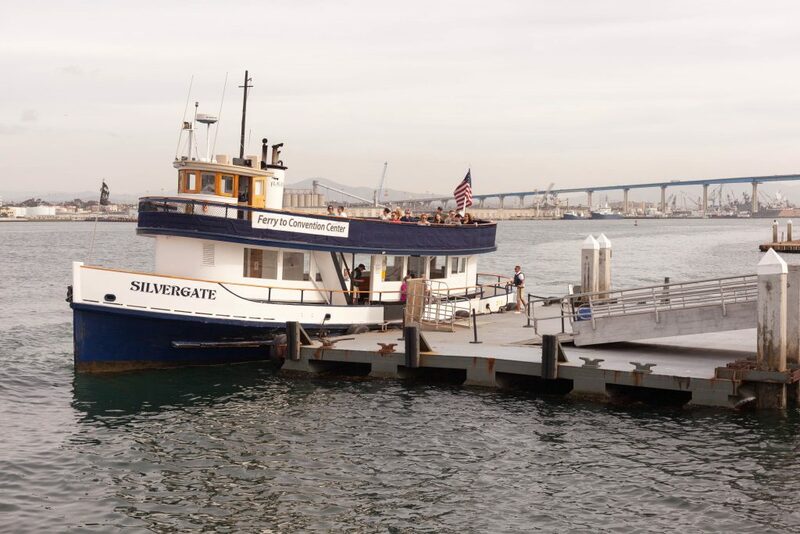 However, pets are not allowed on the ferry from San Diego to Coronado, but they are allowed at the harbor. We had our dog with us on our trip to Coronado Island. There are several pet-friendly hotels that will even allow a bigger dog like ours. Orange Avenue is the main street that is lined with shops and restaurants, and many of those restaurants provide outdoor patios where you can dine with your dog. The Ferry Landing Shops are also pet-friendly. Many of the stores put out bowls of water for your pup to get a drink. Yes, that’s Ellie pooping on the beach. Her favorite spot to poop. However, the absolute best part of our vacation was the Coronado Dog Beach. 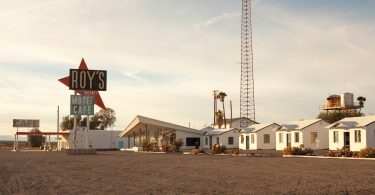 It’s located at the far western end of Ocean Boulevard. Drive northwest until you reach a roundabout-like parking area and the entrance to the naval base, and find a parking spot along the road. The entrance to the beach is down a path that runs along the fence of North Island Naval Base. Words cannot sum up how lovely this beach was. The beach is very well maintained and other dog owners are great at cleaning up after their four legged family members. There were tons of dogs and their people, and everyone was extremely friendly. 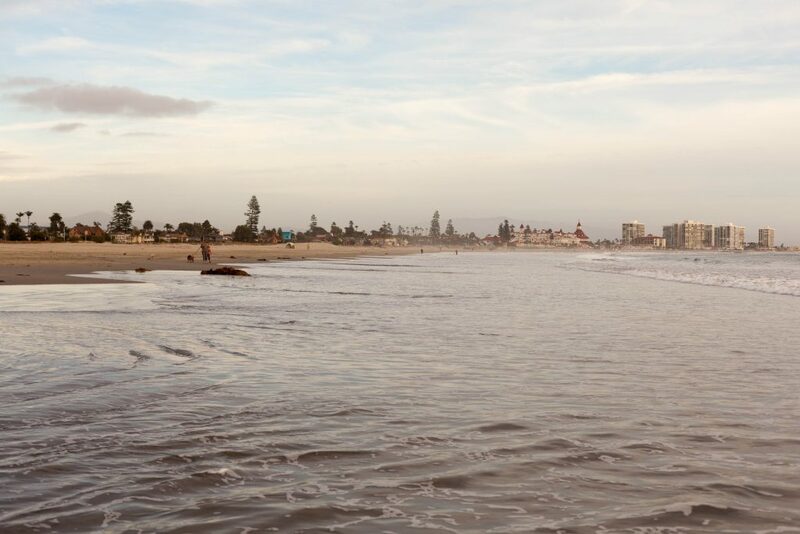 Once you’ve exhausted your dog, you can leash them up and walk down to the iconic Hotel Del Coronado. This hotel is a bit pricey, but very pet-friendly should you want to stay on the beach. Make sure to plan a trip there during sunset! 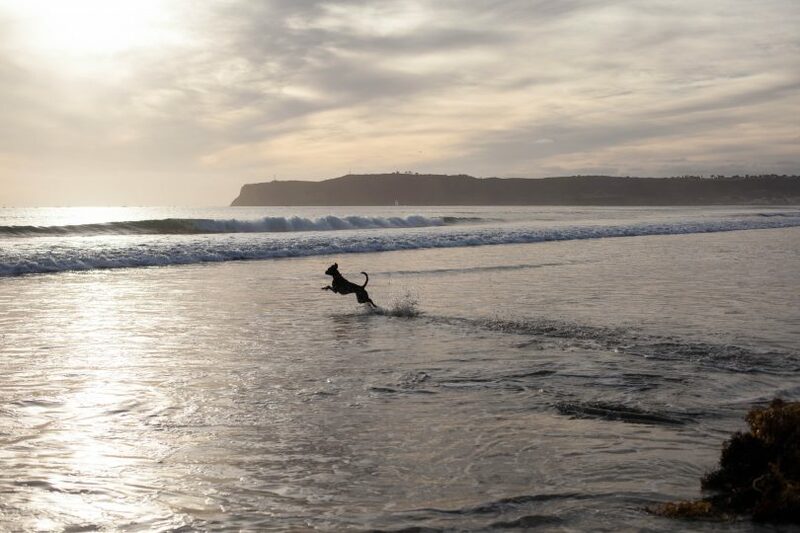 We loved our trip to Coronado, and our dog did too. 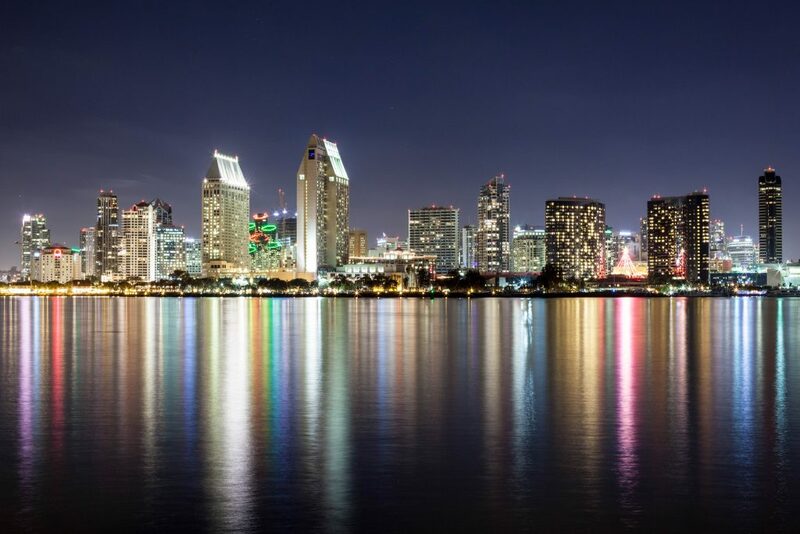 Make sure that if you visit San Diego, you take the time to check out this island!